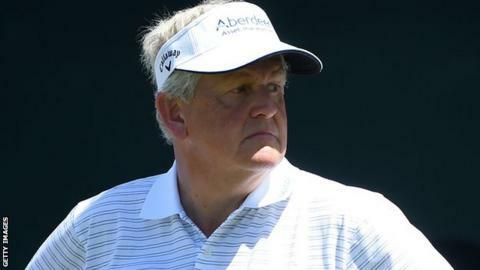 Defending champion Colin Montgomerie finished second behind American Jeff Maggert at the US Senior Open at Del Paso Country Club in Sacramento. The 52-year-old Scot went into the final day one stroke off the lead and carded a flawless round of 66. However, Maggert, 51, rolled in six birdies in a 65 to finish 10 under par for the tournament for a two-shot win. Bernhard Langer, the 54-hole co-leader, shot a 68 to finish in a tie for third with New Zealand's Grant Waite. Of the last eight senior majors, Maggert has now won two, while former European Ryder Cup captains Montgomerie and Langer have won three each. "I had a lot of good runs in the US Open over the years and probably lacked a little maturity to pull it off," said Maggert, who had 13 top-10 finishes in majors in more than 20 years on the PGA Tour. "But certainly, now that I'm an old guy, I've learned a lot and was able to just steady myself and play well."